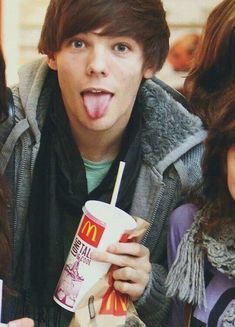 Today’s Tasty Tuesday is Louis Tomlinson with some McDonalds. Louis posed with fans while grabbing some grub from Mickey D’s in this early One Direction era photo from 2010. Mcdonalds breakfast wrap get in my mouth. He’s also been spotted in the chain quite a few times!